The Office of the Secretary had spearheaded the conduct of a financial literacy seminar to selected teachers in the five provinces of the ARMM to aid teachers in their fiscal management. This was an attempt to make DepEd-ARMM teachers gain their freedom from poverty and indebtedness. In order to strengthen compliance with government procurement, accounting and auditing rules and regulations, DepEd-ARMM is currently undertaking workshops for school heads and finance staff. To maximize the potentials of personnel, the region continues to send staffs to numerous trainings and seminars. Technologies poised as a viable medium in improving governance. The use of new program for the payroll database where it can be connected with the HRIS will increase efficiency and lessen human manipulation. · Utilization of HRIS and explore connection with Payroll System (Through WB-AusAID PER) Technology in support of our Personnel and Fiscal Reform. To comply with the ARTAC Law, DepEd-ARMM had set up a website to promote transparency and access to information for our clientele. 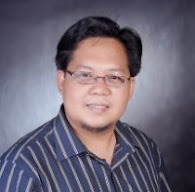 The official website deped.armm.gov.ph is maintained for free using the blogger free service and since the commencement of its operation in March 2012, it has registered 148,482 page views, the highest in the entire ARMM bureaucracy. The BEAM-ARMM Program, an AusAID funded education assistance to ARMM amounting to 85 million Australian Dollars (3.927 billion pesos) was launched on November 20, 2012. This program is considered as the single largest donor investment on education in Southern Philippines. In relation to the official launching, and implementation of the program, an inaugural Program Steering Committee (PSC) Meeting was also convened at the DepED-ARMM Conference Room the same day. The PSC is chaired by the DepED-ARMM and Co-Chaired by the AusAID. Implementation structure and mechanisms were discussed during the meeting, considering that the different components are contracted by different implementing partners. Below is the general picture of education interventions that will be implemented through the BEAM-ARMM Program. Starting this SY 2012-2013, an initial of two hundred eighty-nine (289) kindergarten and one hundred twenty-one (121) grade 1 classes were organized in school-less barangays and four hundred ten (410) learning facilitators were trained to provide broader access to free education. This is implemented in partnership with AusAID and BRAC. Key regional and division managers were immersed in Bangladesh to understand the BRAC ADM program. Teachers’ shortage of 2011 was 2,698 for elementary and 781 for secondary or a total teachers shortage of 3,479. 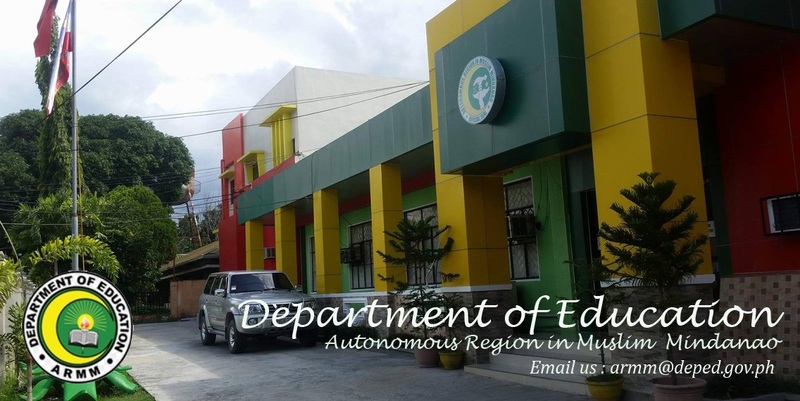 For FY 2012, four hundred twenty (420) new teaching positions were awarded to DepEd-ARMM. Selection is going on prioritizing LET passers and deployment consistent with black and red schools identified in the EBEIS. Classroom shortage. Last year’s shortage was Five Thousand Fifty Seven (5,057) classrooms. At the beginning of this year, the 911 classrooms procured in 2011 were almost completed and we had just procured the construction of 1,033 classrooms more under the 2012 School Building Program. Under the 2013 National Budget, ARMM will get 1,917 classrooms more, while BEAM - ARMM will also construct 2,500 classrooms over the period of five (5) years or 500 classrooms annually. Furniture shortage. Last year’s furniture shortage was 463,793 for both elementary and secondary. In 2010 & 2011, a procurement of 73,695 armchairs was managed by the ORG and the delivery is about to be completed. In 2012, an additional procurement of 74,581 was managed by the current leadership of DepED-ARMM, and delivery of which has already commenced. Under the 2013 Budget, 109, 774 armchairs more will be procured. These will narrow the shortage to 267,357. Had there been a complete delivery of school furniture under the 2009 procurement, the gap would have been narrowed substantially. Coupled with the initiatives on improving the quality of enrolment data, DepEd-ARMM expects to address the shortages in 2017.